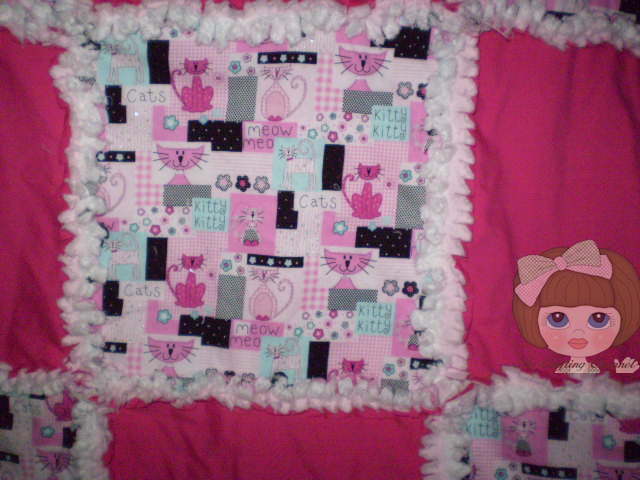 Made this quilt for a friends little girl who loves cats. The pics do not do it justice. It is really cute in person. I know she will love it. Please check out our Fabric Friday Challenge. Great turn out so far this month. If you would like to submit a entry please visit link above for complete rules. Your quilt is gorgeous!! Love the fabric you used...I know this little girl will LOVE this so much!!! TFS and hope you have a GREAT Tuesday!!! Amazing quilt! Thanks for sharing the news about our challenge blog! Good Luck with the giveaway and we can't wait to see your creations! Super Duper Cute! !The Little girl will love it! Beautiful quilt! She is definitely going to love it. I'm a cat person and I LOVE it! Thanks Susie. I'm a car person to. We have 2 Georgie and Grayson. Thanks Lisa. She really did love it.. They picked it up. 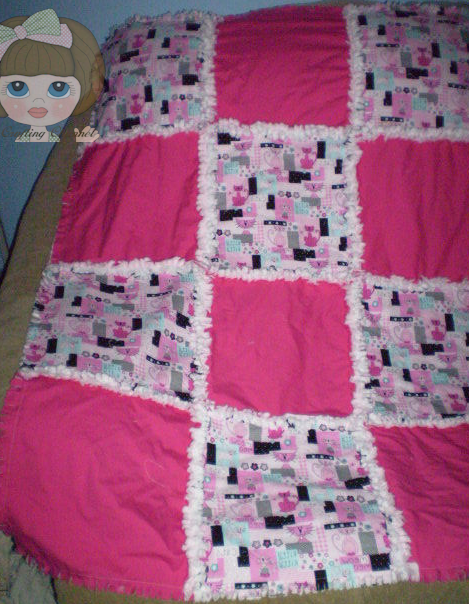 Beautiful blanket.She will love it.Love the kitty pattern.I would love to sleep in it. What a cute quilt. I love the colors!! Cute and Cuddly girls, Cute and Cuddly! Sorry, huge Penguins of Madagascar fan and couldn't resist. It does look so soft and fun to curl up with especially on this rainy cloudy day! I saw this over at DL Art Linky B-day party and had to let you know how much I love your beautiful Kitty Quilt and that Kitty fabric...cute! The little girl you made it for is super lucky. I have cats and know how she feels...she's sure to love it. 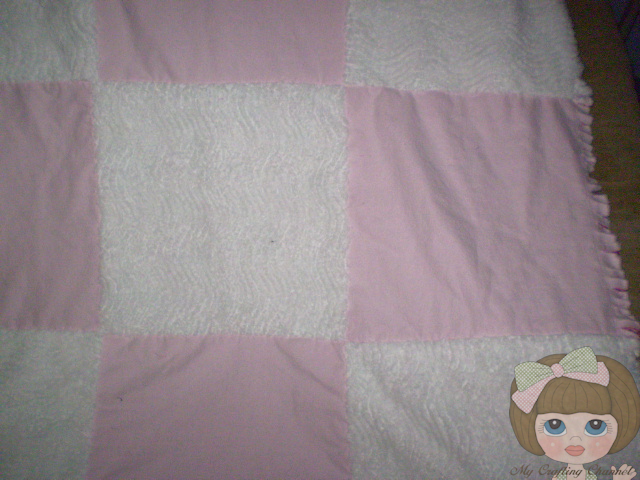 Very nice rag quilt - she will love it! Here Kitty, kitty!